If we've met, you already know I'm pretty proud of where I come from. If we haven't, you certainly know now! Born & raised in Des Moines, I moved to NYC about a year and a half ago (this Friday, actually-eek! ), but I consider both places my home. I've been rocking this acrylic state necklace for a while now, but this super soft tee is a recent addition after I discovered The Home T last month. Not only does it help me represent my state pride, but a portion of all their proceeds are donated directly to research for Multiple Sclerosis, a cause much closer to my heart after learning that it affects the mother of a close friend (we're doing the MS Walk 2013 later this month in NYC-you can help by donating to our team page here!). 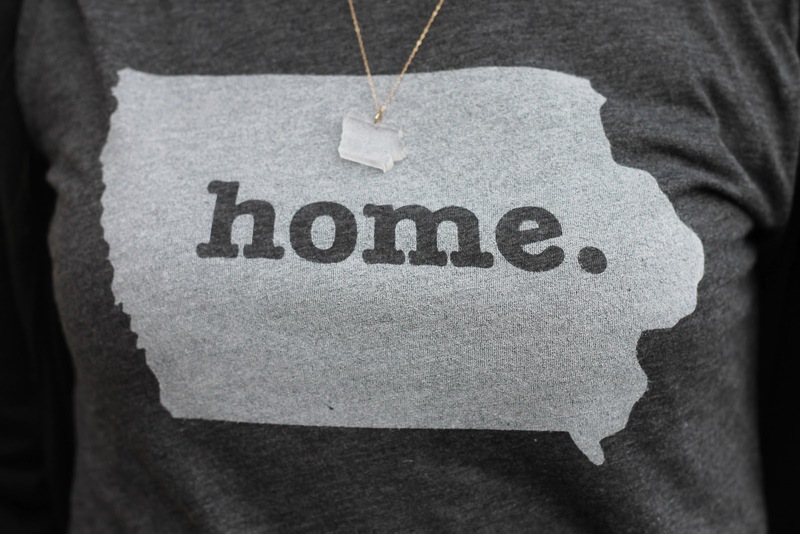 If anyone's feeling extra generous, my birthday is next month & I'd love the New York versions of this tee & necklace to honor my second home (wink, wink)! I love these T's - they are so adorable! I am from southern Iowa and went to college in Des Moines at AIB. Love following a local Iowan's blog. :-) Love the tee too! 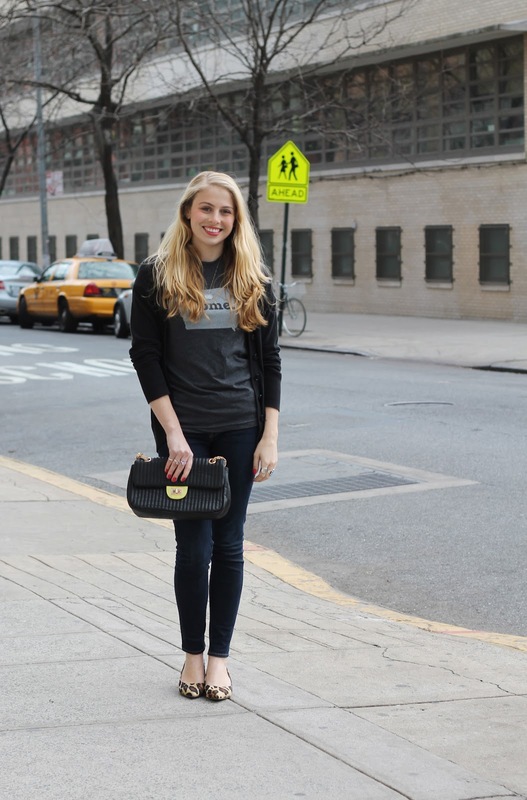 I love that t-shirt and those shoes, they are super cute! This tee is so adorable. I love the way you styled it too! I've lived in several different states so I don't even know which one I'd pick! Obsessed with this tee!! I can't wait to get one of my own! The tee is adorable and the fact that a portion of all their proceeds are donated directly to MS research is a home run (pun intended!). Hey girl! Love the way you styled your home T too:)! Thank you so much for visiting my blog! Would you like to follow each other? Just leave a comment on my blog and let me know. Thanks! Darling! I love the way you styled it! I love your iowa tee. funny enough, I live in des moines now. and moved here from new york city a year & a half ago.